Airbnb hosts will be limited to renting out their property only 180 nights a year under new NSW regulations and the property sector is split on what this means. The decision, which NSW Minister for Better Regulation Matt Kean announced on Tuesday, is designed to penalise “bad behaviour” and will see hosts in greater Sydney unable to rent their entire property out more than 180 nights a year. Councils outside the Greater Sydney region will also have the power to reduce the allowable nights rented. Owner-occupier hosts will be exempt from the 180-night limit. “We have consulted widely with industry and the community to make sure our nation-leading regulatory framework is the very best approach to short-term holiday letting,” Mr Kean said. The crackdown is joined by a mandatory Code of Conduct, which will focus on “stamping out” party houses. Owners’ corporations will be able to adopt by-laws preventing short-term letting in their block if the host does not live in the property, provided the by-law reaches a 75 per cent majority. NSW Fair Trading will be able to police online platforms like Airbnb and HomeAway. “Under our ‘two strikes and you’re out’ policy, hosts or guests who commit two serious breaches of the code within two years will be banned for five, and be listed on an exclusion register,” Mr Kean said. He said the 180-night limit roughly covered weekends, school holidays and public holidays and as such, “we felt this was a fair and balanced approach”. “Councils outside greater Sydney can decide if permitting short-term holiday letting for the entire year is acceptable for their local communities. This recognises the importance of tourism in some regional communities,” Mr Kean said. To Airbnb, the rules are effectively a “green light” for home sharing. Noting that NSW hosts received more than 1.6 million guests in 2017, Airbnb said it considers the rules a “strong foundation for our community to grow responsibly and sustainably”. Speaking in Sydney, Airbnb head of global policy Chris Lehane said the changes bring home-sharing rules “into the 21st century and send a clear sign that NSW embraces health tourism”. “These statewide rules strike the right balance. They protect the rights of respectful and responsible home sharers, while taking a zero tolerance stance on bad behaviour,” Mr Lehane said. According to Airbnb’s Australian country manager, Sam McDonagh, the decision is a “watershed moment”. “With the cost-of-living painfully high, these fair and innovative rules will make it simple and easy for people and working families to share their own homes to make extra income,” Mr McDonagh said. Speaking to Nest Egg sister site Smart Property Investment, the director of Airbnb management company Hey Tom, Phillip Rose, said only time will tell if the regulations are appropriate. He said, “I think it's fair to say these regulations are tougher than rulings from other states to date, whether they are too tough or not is still yet to be determined. Some of the finer details are still yet to come out. Continuing, Mr Rose said it will be difficult to see the immediate impact on property investors who prefer renting short-term. “While regulation like what has been announced can obviously restrict supply it should have little effect on demand so we may see opportunities arise from higher nightly rates being charged to guests,” he said. Another Airbnb property management company, and chill, considers the reforms to be nothing for investors to worry about. CEO Callum Forbes echoed Airbnb in naming the new laws a “balance” between the needs of investors and neighbours. The real estate agency uses a mix of short-term platforms like Airbnb, student accommodation and executive leasing. As such, Mr Forbes argued, “Property investors have nothing to worry about. We make the most of Airbnb during the summer months, the peak season for Airbnb travellers. During the quieter periods, we have the ability to shift these properties onto the long-term market under three- to six-month executive leases so investors earn more all year round. L’Abode Accommodation managing director Lisa Peterson echoed and chill’s approach. She said investors may need to shift their strategy to gain the maximum value from their properties and should think about ways to capitalise on peak periods before switching to longer-term letting arrangements in the other months. “Investors will also need to work harder and smarter to build corporate relationships to secure longer-term bookings on those off-peak, six-month periods,” Ms Peterson said. The Tenants' Union of NSW (TUNSW) hasn’t been as kind, blasting the regulations as locking tenants out of decision-making processes. The union argued the powers for owners’ corporations to vote to ban short-term letters won’t extend to tenants and as such leaves them unprotected. “Tenants actually living in the building will have no say in the matter while an investor living in London will be free to vote to run a hotel all summer long,” says Leo Patterson Ross, senior policy officer at TUNSW. The union said the commercial use of short-term lets should be limited, with short-term holiday lettings cut to a “reasonable amount of 60 days per year”. It said operators operating more than 60 days should be regulated, and possibly restricted, by local government planning rules. According to UNSW researchers Laura Crommelin, Chris Martin and Laurence Troy, around a quarter of Sydney Airbnb’s are commercial short-term letting operations. 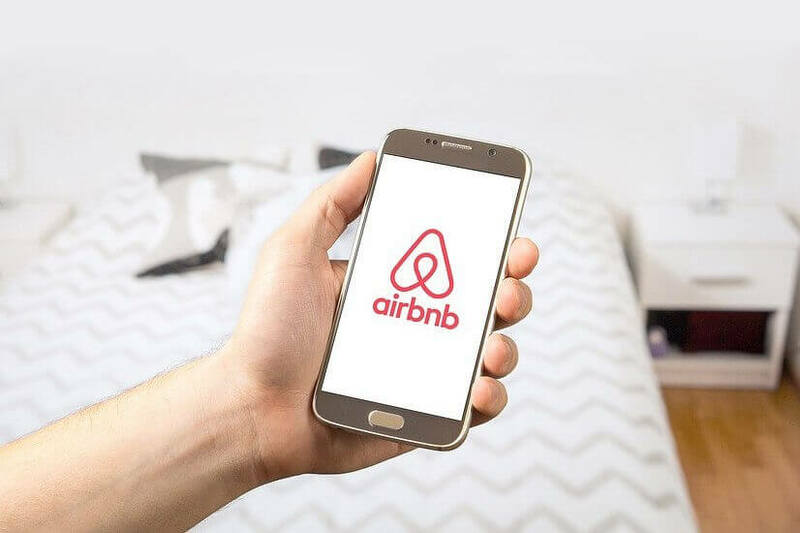 The research, published in late May, noted that many critics consider short-term rental platforms like Airbnb to be enablers of “permanent short-term rentals”. “Thus, instead of enabling new efficiencies in the use of housing assets and providing financial security for existing residents, Airbnb may be a variation on an old theme: removing properties from the market for long-term rental or purchase,” the report said. The paper argued that while some hosts are using these platforms as a means of gaining a foothold in expensive housing markets, others are commercial short-term letters. “Policy makers need to recognise the different impacts of these uses in their responses to Airbnb and the sharing economy,” it said. However, the 25 per cent commercial letting figure is modest compared with Paris, where 49 per cent of listings could be considered commercial operations. It said Airbnb’s reluctance to share data was also an indictment, which suggested the narrative of Airbnb as a sharing-economy facilitator was little more than a “sales pitch”, rather than a “guiding philosophy”. Reflecting on the paper, the researchers said policies should have a special focus on the impact of these commercial operations. In a piece for The Conversation, they said, “Any policy decision needs to account for the different uses of these platforms, and be particularly focused on the impact of commercial short-term letting. “While house sharing also raises concerns – particularly in apartment complexes – it at least fits the 'sharing economy' model and arguably provides some of the shared financial, social and environmental benefits sharing economy supporters claim. Alex Greenwich, Independent member for Sydney said that the rules don’t go far enough, arguing that 180 days can easily be used as a commercial model. “180 days could be all of summer and most weekends; it could be every weekend with a day or two on either side. Letting a home for 180 days a year in areas of high tourist demand could be more profitable than letting out to long-term tenants,” Mr Greenwich said. He said the state government’s “laissez-faire approach” will heighten tensions and lead to further problems. “Short-term letting has a place in the economy but unchecked it can remove rental housing from the market and add to escalating unaffordability. In apartments there are additional impacts on amenity, security, costs and waste management,” Mr Greenwich said. According to publicly-sourced data analysed by Inside Airbnb, 61.5 per cent of accommodation types listed on Airbnb in Sydney are entire homes, with 37 per cent private rooms and the remainder (1.6 per cent) shared rooms. It also found 33.3 per cent of listings were operated by owners who had multiple listings, localised around the CBD and eastern suburbs.